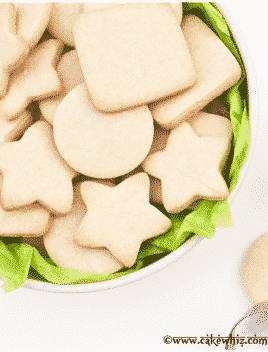 Use this cake decorating tutorial to learn how to make cake ball cake. It’s quick, easy and a unique wedding cake and a fun birthday cake. If you use combine cake balls and cake together, you will end up with an EPIC cake ball cake! Even though I enjoy making cake pops , I like working on cakes more and this cake brought the best of both the worlds. 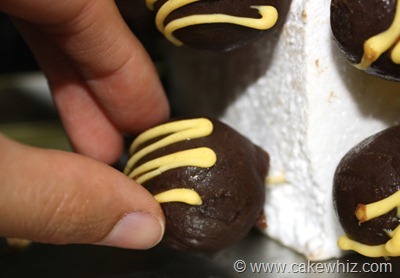 Basically, it involves arranging cake balls in such a way that they resemble a cake. The idea for this cake ball cake came to me quite randomly when I was making cake pops and sticking them into a styrofoam to dry. It started to look interesting and that’s when I knew I had another fun idea to share with y’all. Also, notice all the yellow paper flowers on the cake? I used those to hide the white styrofoam base that was showing through. 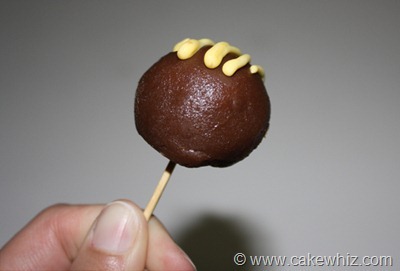 Check out my tutorial for making cake pops and cake balls, if you have never made them before. Prepare the cake pops with toothpicks instead of lollipop sticks. This makes it easier to push them through the styrofoam later. 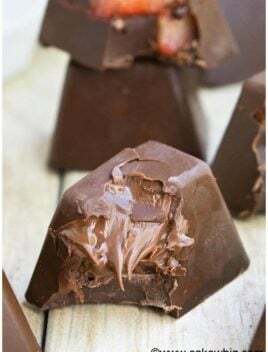 Push this cake ball into a rectangular shaped styrofoam. 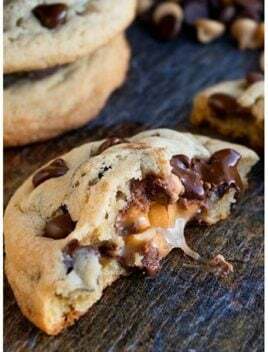 Continue doing this until the top and sides are covered in cake balls. Now, to hide the white styrofoam showing through, cut out square shapes of crafty tissue paper. 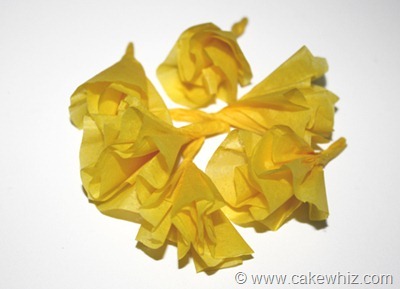 Since the chocolate streaks on my cake balls were yellow, I used yellow colored tissue paper. 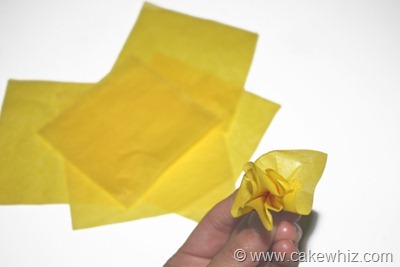 Hold the square sheet in your hand and start to pinch from the bottom until the top starts to crumple and starts looking like a messy flower. 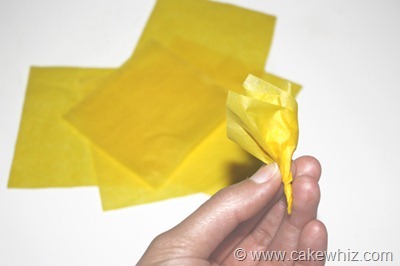 To maintain this “flowery” shape, twist the bottom and it will start to look like a mini stem. 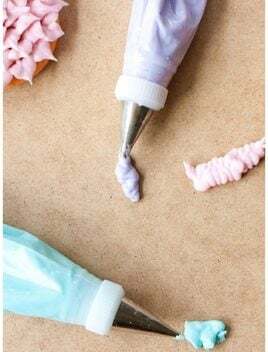 To give these flowers a more rounded petal look, cut off sharp, random edges from the top using scissors and you will end up with easy-to-make, cute flowers. 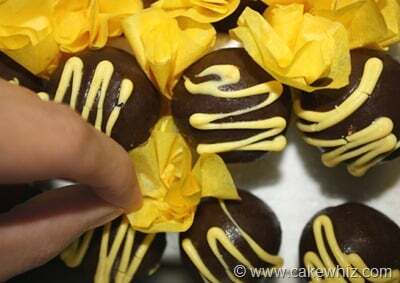 All you have to do now is place these flowers in any gaps you see between cake balls. If you want, you can glue gun a toothpick into each flower and then push it into gaps. This way, the flowers would be more secure but I was feeling slightly lazy and didn’t feel like doing this…heheh. Place your cake ball cake on a board or a tray and you are done! This is the most gorgeous cakeball anything I’ve ever seen. Stunning photos, too! The cakes ball with stick looking very tasty. And the design is too good. Cake Ball cakes are amazing and awesome. I can feel water in my mouth. 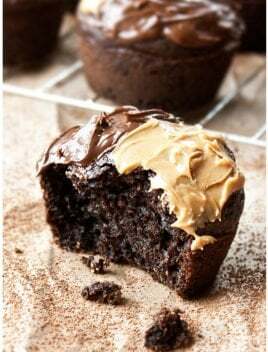 These look too good, i can imagine the taste. 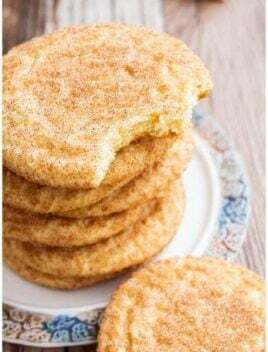 Thanks for sharing the preparation method to decorate with paper flowers makes this more yummy and delicious. 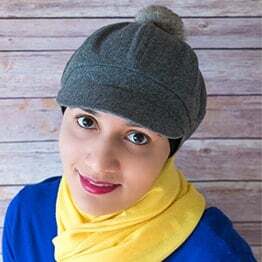 Thanks for all your efforts in sharing wonderful things. Keep sharing.